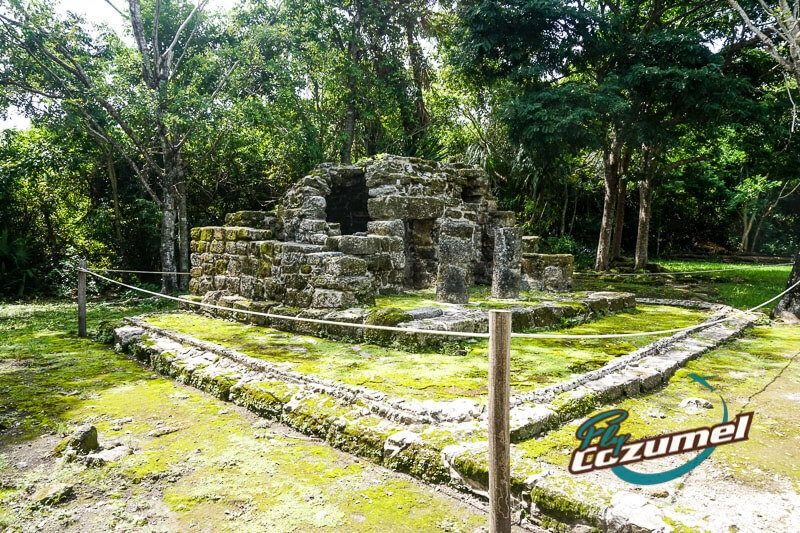 When most people think of Cozumel ruins they’re likely conjuring up in their minds those iconic images of sites like Chichen Itza or Tulum. 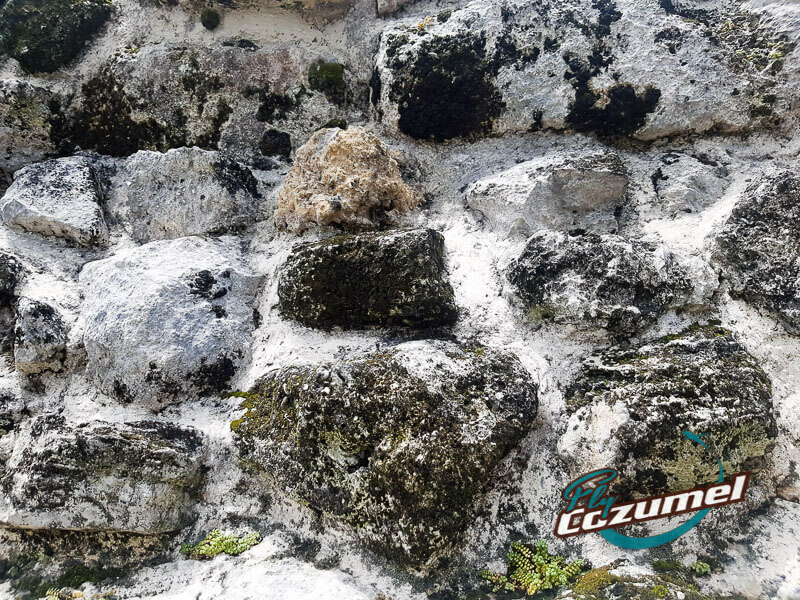 While we don’t want to spoil it for you, it is important to start off by letting you know that the San Gervasio ruins in Cozumel are, ehm, more humble in nature. Of course, that by no means implies that they are not impressive or played an important role in the history of the ancient Maya. Not at all. It’s like having two kids and one is taller than the other. They’re both still special in their own right. That’s how it is with the Mayan ruins as well. It’s just that you won’t find structures such as the great Kukulcan pyramid of Chichen Itza or a temple high on a cliff overlooking the Caribbean Sea. 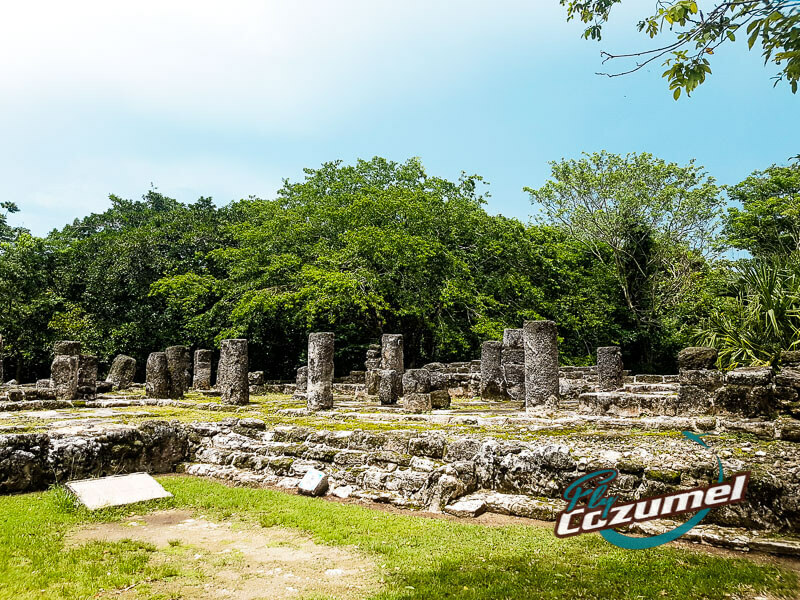 So now that we’ve gotten that out of the way, let’s take a look at what you will find at this ancient archaeological site and one of our recommended things to do in Cozumel. 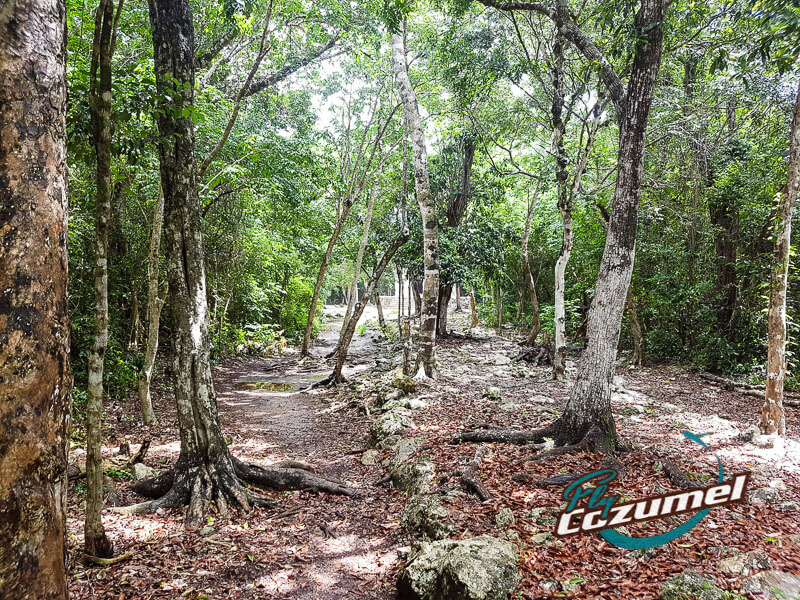 Located in the northeast portion of Cozumel Island, the Mayan ruins of San Gervasio are comprised of four different areas extending over several kilometers. However, only one part of these ruins is open to the public. In pre-Hispanic times, prior to the arrival of the Spanish expeditions led by Juan de Grijalva and Hernan Cortes, Cozumel had another name. The ancient Maya, who once made pilgrimages to the island in honor of the goddess of fertility, Ixchel, called the island Tantun Cuzmal (flat rock in the place of the swallows). In fact, Cozumel was to the Maya what Mecca is to the Muslims or Rome to the Catholics. Today, Mexico’s Instituto Nacional de Antropología e Historia (National Institute of Anthropology and History) works in conjunction with the Cozumel Parks Department to maintain the site and keep it open to visitors. There are several buildings and structures spread out through the first area or district of San Gervasio. 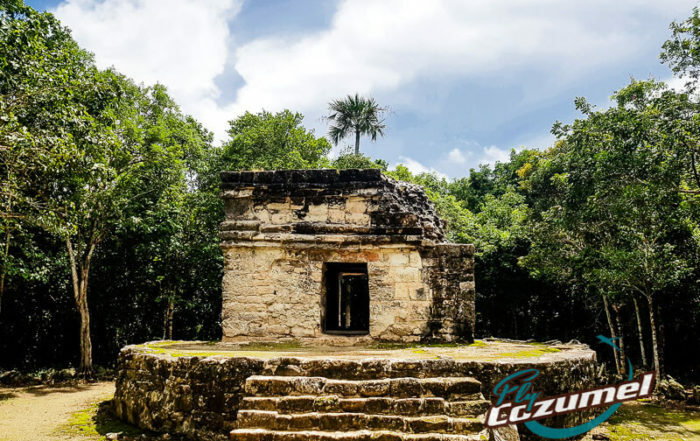 And while unable to compete with the size of some of the structures built at Chichen Itza, Tulum, Ek Balam or Coba, the Mayan ruins Cozumel are no less impressive in terms of their historical significance. Construction elements can be found dating back to 600 AD and as recent as 1650 AD. Here is a brief description of what you can expect to find. Located not far from the residence of the San Gervasio’s high ruler, Chichan Nah served a sort of sanctuary or chapel. 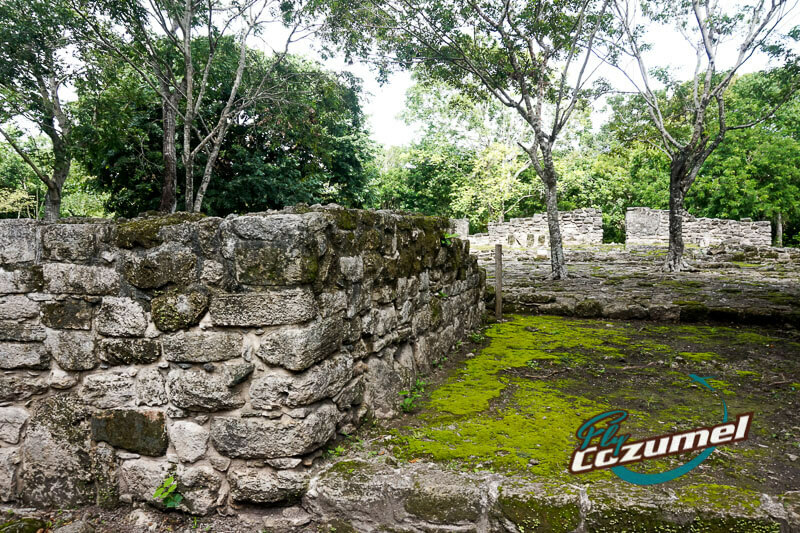 It is the first building you will visit when you go on a Cozumel ruins tour at San Gervasio. Las Manitas, a.k.a. little hands, was the home of the site’s ruler, known as Ah Huineb, an overlord of the Itza people who also ruled over Chichen Itza. 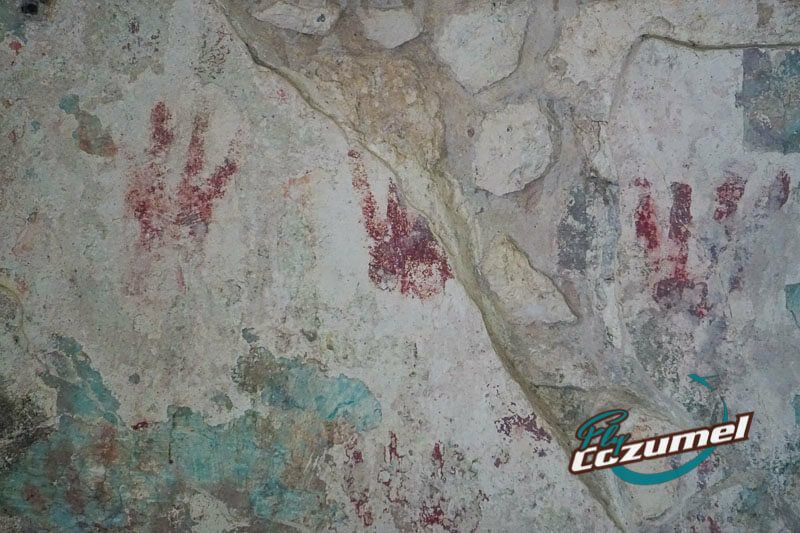 Tiny red-colored hand prints have been found on the interior walls of the building, hence the name Las Manitas. As you continue your journey down the sacred paths, known to the ancient Maya as Sacbe or white road, be sure to look for a small hole in the ground just to the west where you’ll find the entrance to a cenote or sinkhole. 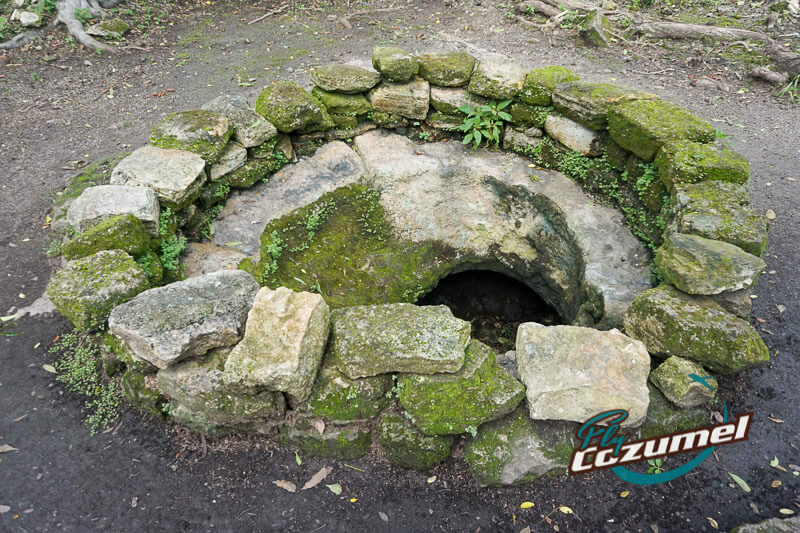 Not only did this provide a source of water for the local population; the ancient Maya considered cenotes to be portals to the Netherworld known as Xibalba. This element of San Gervasio is a reconstruction done by Mexico’s INAH in the 1980s. The arch extends upwards about seven feet and was erected as the gateway of the Sacbe (white road) leading into San Gervasio. All visitors from the coast to the site would inevitably pass under its inverted staircase-like formation. True to its name, Ka’na Nah, or the Tall House, is one of the largest structure in San Gervasio — even if it’s small in comparison to other sites such as Tulum or Cobá. In all likelihood, this building housed the most important temple on the island dedicated to the goddess Ixchel. Small faces are carved into the stone that form the base and stairways. Nohoch Nah is the most well-preserved building of all the Mayan ruins in Cozumel. 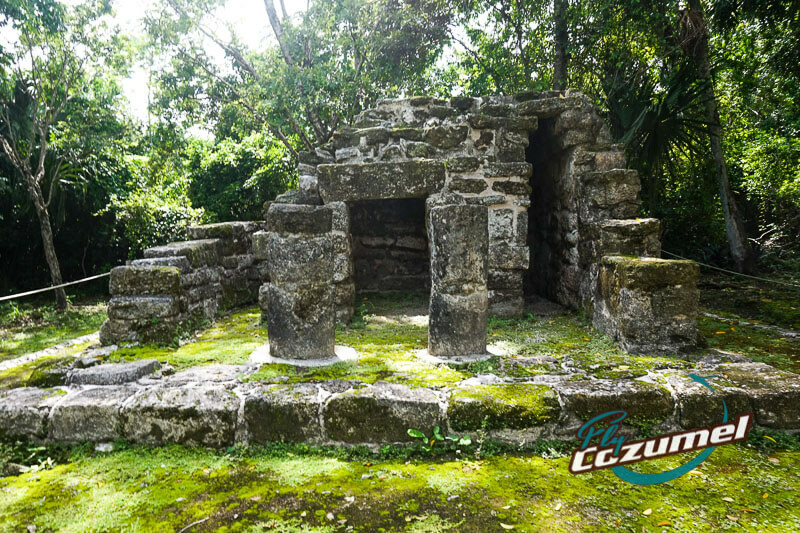 Located along the main road of the Cozumel ruins known today as San Gervasio, an altar was located in the center of the temple where guests of the ceremonial center could leave their offerings. Guests to the site would leave their tribute here before proceeding on to pass under The Arch. Comprised of six buildings constructed in the form of a square in whose center lies an altar or platform, perhaps for oratories, the central plaza served as the meeting point for visitors to the island who came to participate in the religious ceremonies. Situated on a platform, this series of rooms and buildings once served as the residence of the Itza overlord Ah Huineb during the Late Post Classic Period. While the size of San Gervasio may not impart the importance of the site to the ancient Maya, perhaps this will: San Gervasio served as the second most important site of pilgrimage for the ancient Maya of the region just behind Chichen Itza. Thank Ixchel, the Mayan goddess of fertility in whose honor the temple of Ka’na Nah (Tall House) was built. There are many representations of the goddess Ixchel, some depicting her as a young woman and others as an old lady. She can often be seen portrayed with a serpent in her hair and pouring water into the earth from a jug. San Gervasio is open daily from 8:00 a.m. until 3:45 p.m. Adults pay a $4.50 USD entrance fee, and kids 10 and under can visit free of charge. 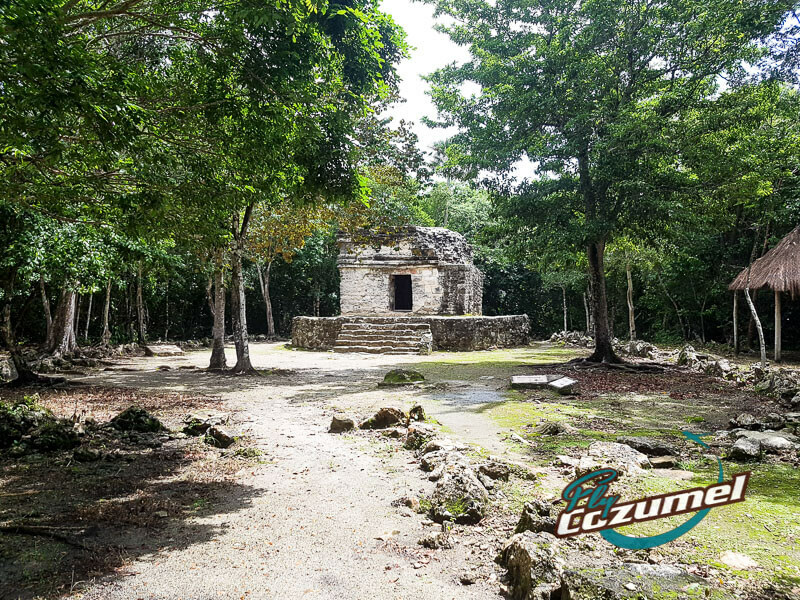 The Cozumel ruins have basic services and facilities including restrooms, a snack bar, free parking, and souvenirs and handicrafts available for purchase. Try and go early as that way you can beat the crowds and the heat. Also, be sure to bring some water, a hat, and insect repellant, especially during rainy season. 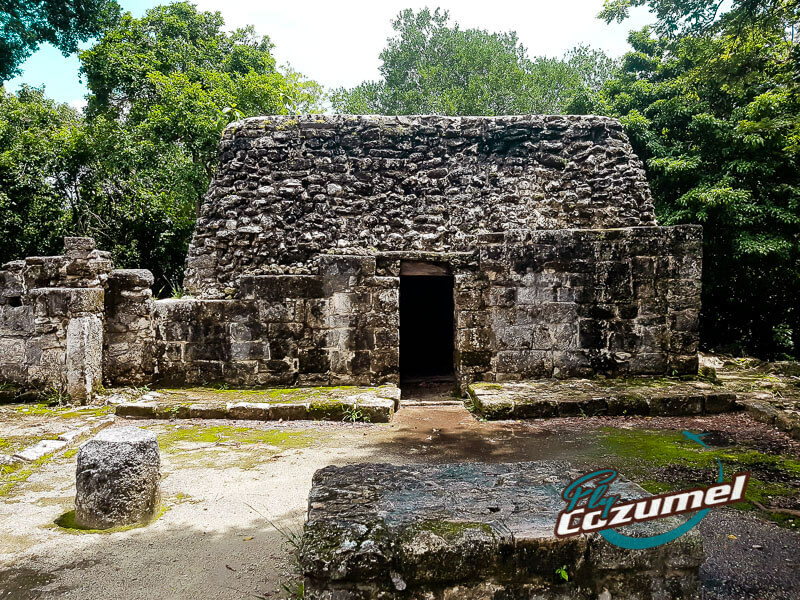 If you’re on Cozumel Island and out exploring then you should definitely pay a visit to the Mayan ruins of San Gervasio. The price is accessible to all, a tour of the Mayan ruins won’t take much of your time — about an hour — and you too will be able to pay tribute to that wonderful goddess of fertility named Ixchel. Plus, it’s a great place to take a few pictures in front of buildings constructed centuries before you were even born and had a cell phone with which you can take that selfie. If you’re interested in Mayan culture and are looking to have a more in-depth experience with Mayan ruins than you’ll find on the island, worry not. 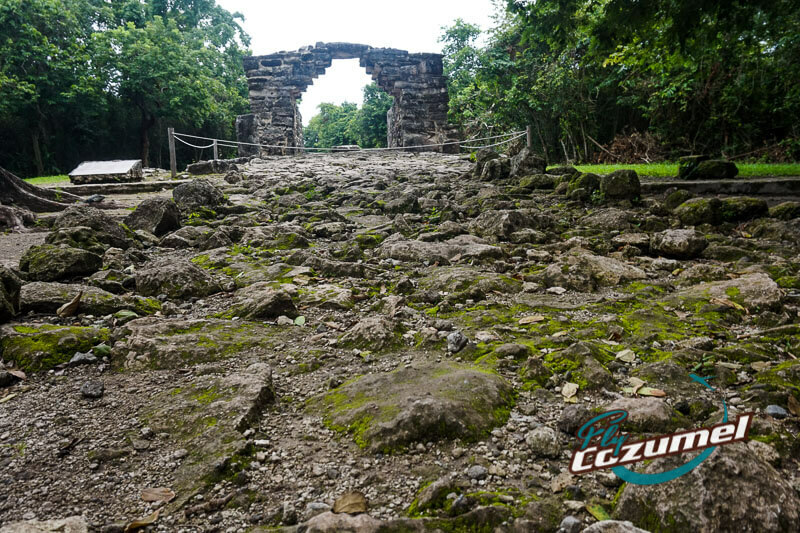 Fly Cozumel offers several great tours to the different Mayan ruins located throughout the Yucatan Peninsula. 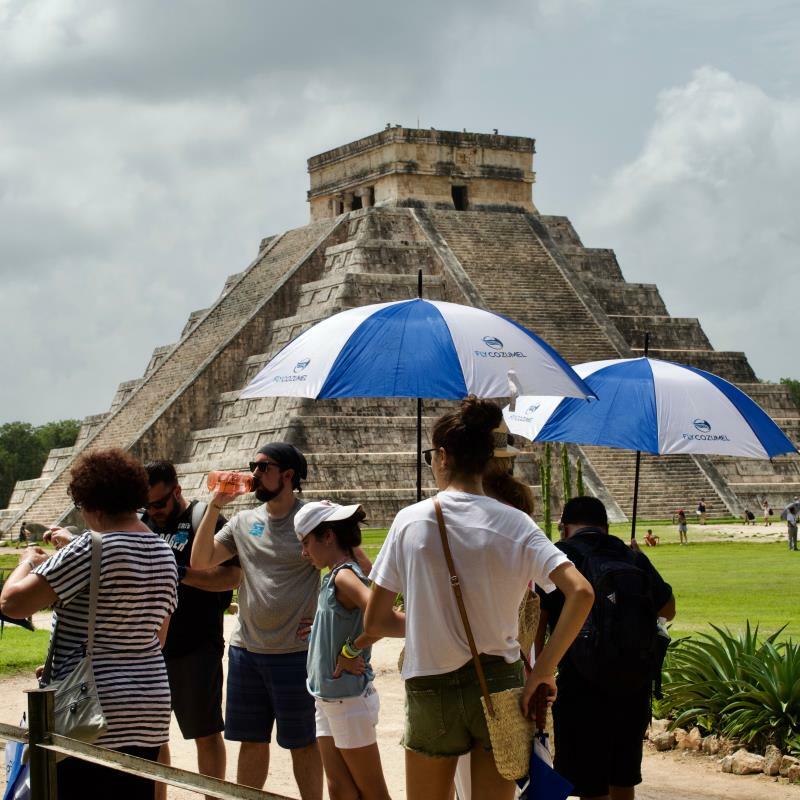 And remember, because all of our excursions are by plane, you’ll not only get the best seat in the house but you’ll also get to the ruins quicker than you would even departing from Playa del Carmen or Cancun. 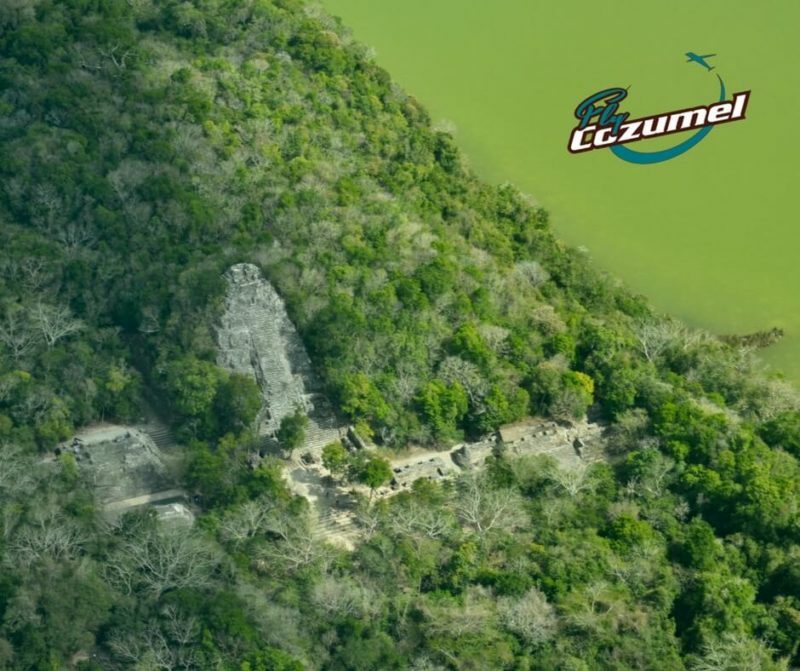 Fly to from Cozumel to Chichen Itza in just 45 minutes! Once on the ground, you’ll take a guided tour of this New Seven Wonder of the World with our highly talented and extremely funny guide, Mr. Turtle. Afterwards, you’ll have time to swim in the Ik Kil Cenote and enjoy a lunch buffet of regional cuisine before flying back over jungle and sea to Cozumel. Our #1 tour! This exciting aerial excursion takes you on a mesmerizing journey above four of the Yucatan Peninsula’s most iconic Mayan ruins. While you won’t actually touch down, you will have some of the most incredible views you could ever imagine of the great Mayan ruins of Chichen Itza, Tulum, Ek Balam, and Coba. Don’t forget to bring your camera on this one! 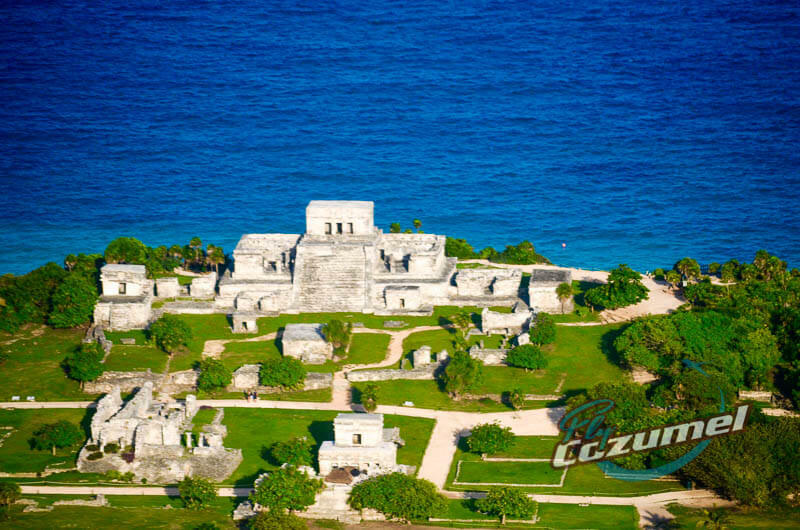 Take the short but spectacular flight from Cozumel to Tulum and experience Tulum long before the site gets full of tourists and the midday sun begins to heat up this beautiful archaeological site of the ancient Maya. You’ll take a guided tour of these Mayan ruins known as the “Place of the Dawning Sun” overlooking the Caribbean Sea before setting off to a stunning Tulum beach for lunch and a little rest and relaxation. Book Tulum Ruins by Plane Here! Need some more orientation? 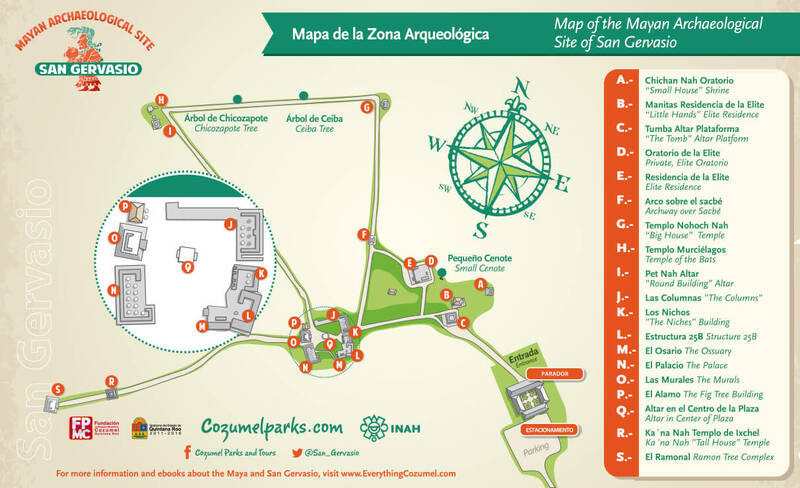 This Cozumel map of the San Gervasio Mayan ruins is a good start to get idea of the site’s layout. You can print it out, although it won’t be necessary. 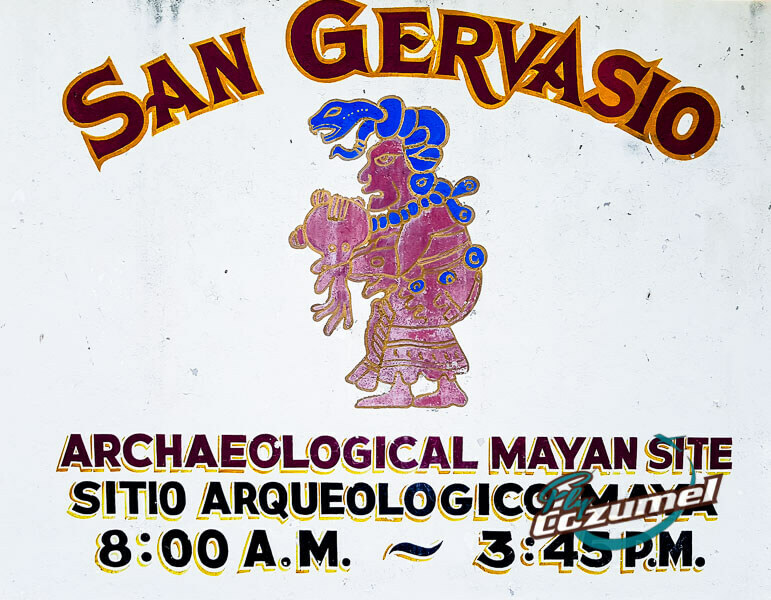 Each visitor is given a San Gervasio map upon entry to the archaeological site. Ready for take-off? Have questions about the Cozumel ruins? Hit us up in the chat and let us know how we can help! Are there any stories about human sacrifice at Gervasi during that time?